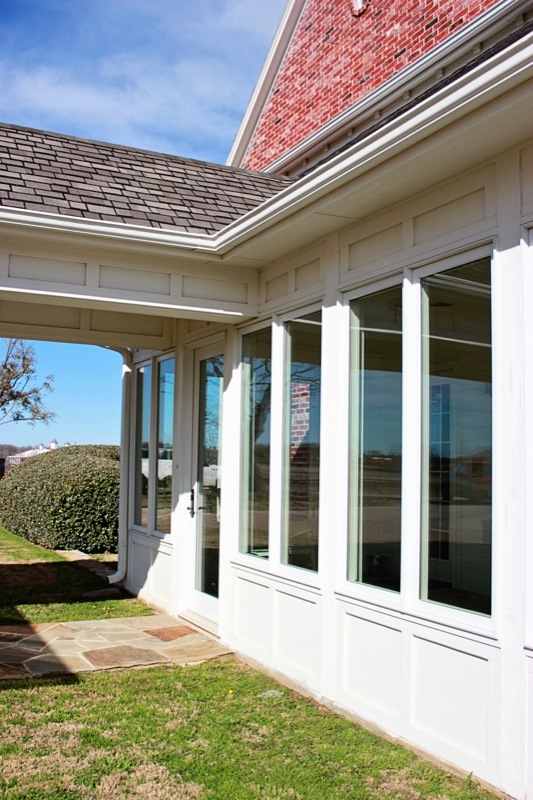 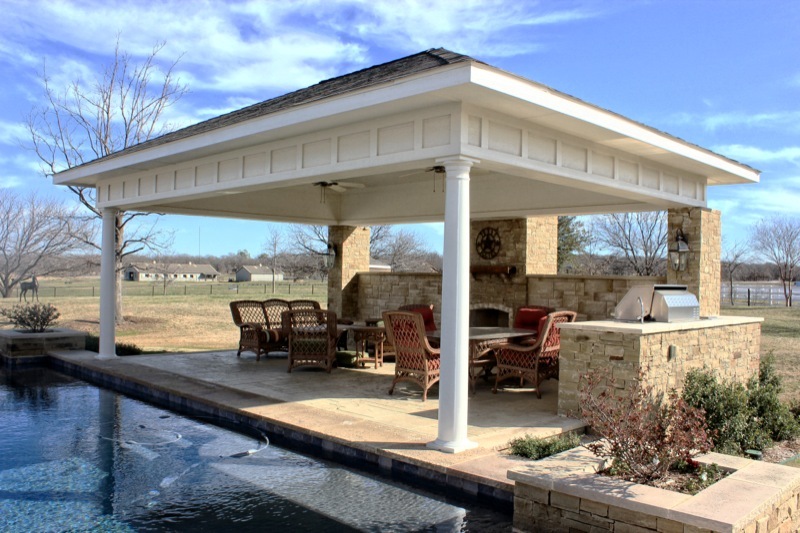 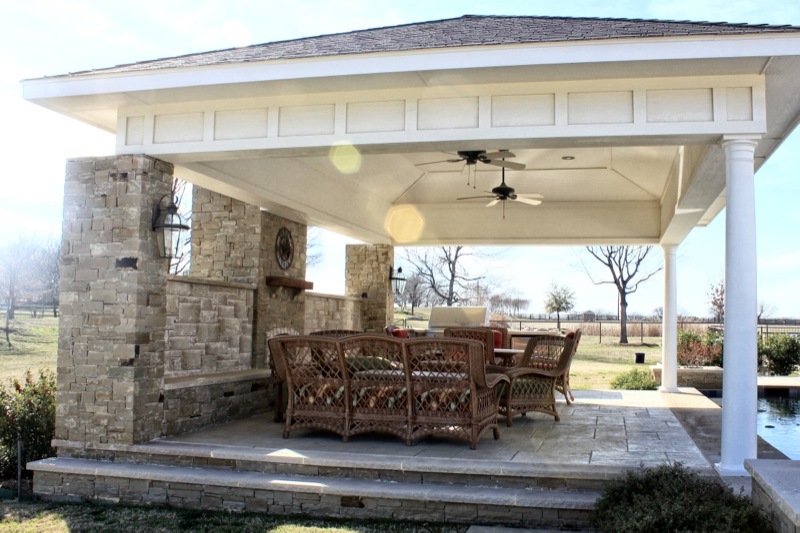 This outdoor living room and carport extensions from the main house were built keeping the same themes of the house in mind. 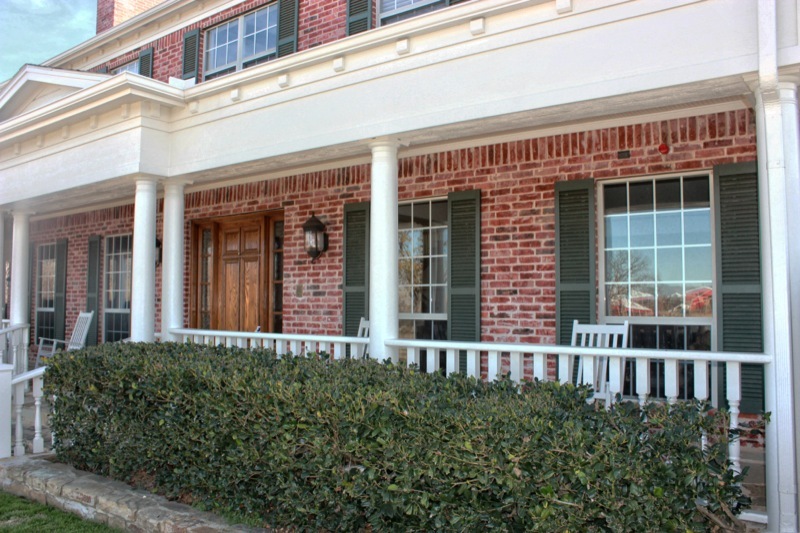 The decorative wood panelings just below the roofline as well as the columns were a main point of interest in keeping with this central theme. 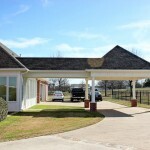 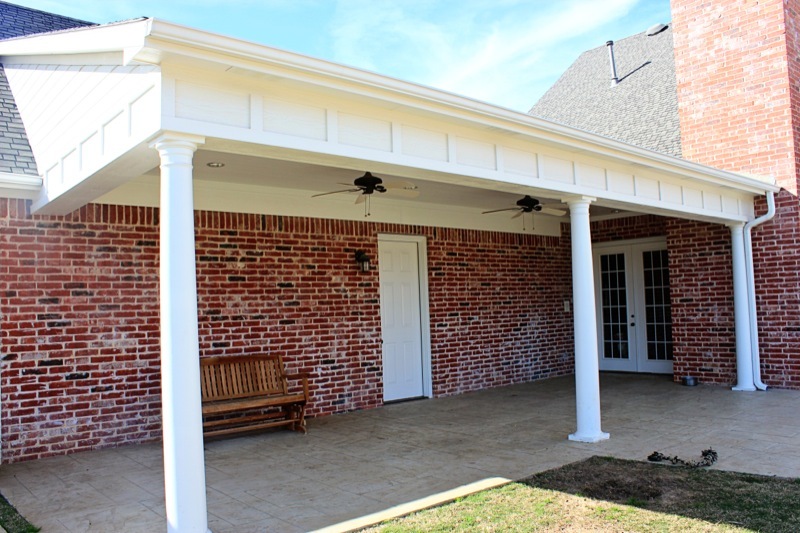 Covered walkway leading out to covered carport. 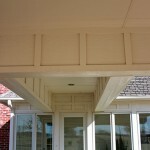 Shingles as well as the wood paneling all match the main house. 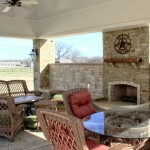 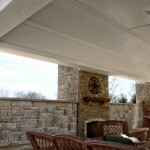 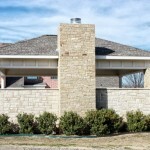 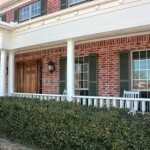 Columns support the structure and are mounted in brick that also match the brick on the house. 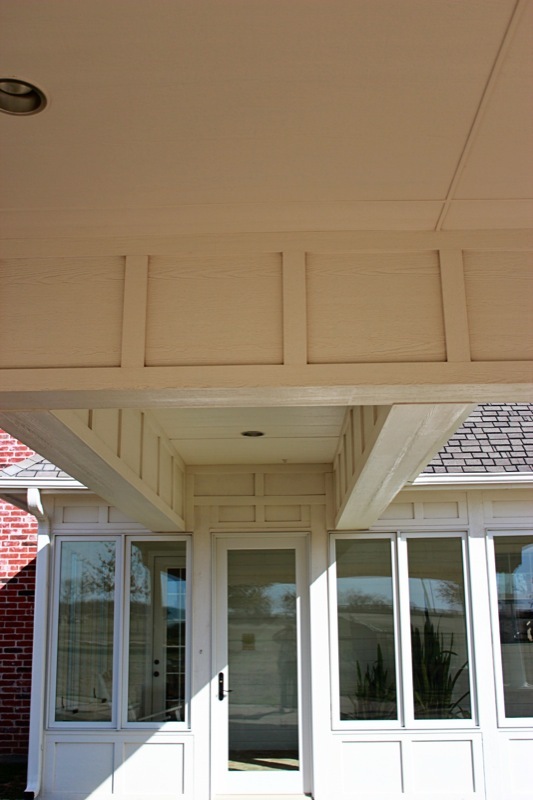 The wood paneling was also added underneath the covered walkway, adding a natural feel to the addition. 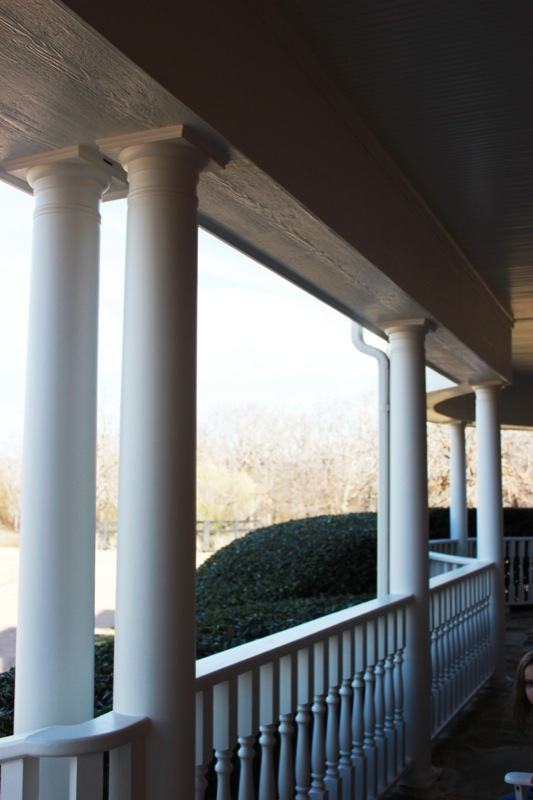 Back porch highlights the matching features of the trim and columns. 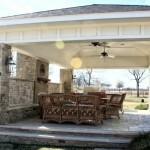 Ceiling fans installed to add a comfortable breeze while enjoying the scenery. 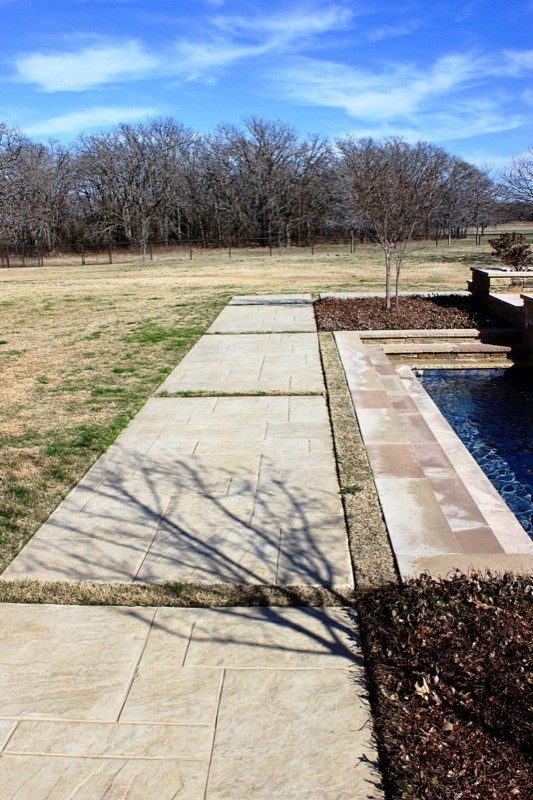 Kraft contacted the original designer of the pool to acquire the matching masonry to install these large slats creating a walkway around the pool. 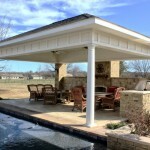 Full coverage roof provides excellent protection from the Summer sun, as well as the rain. 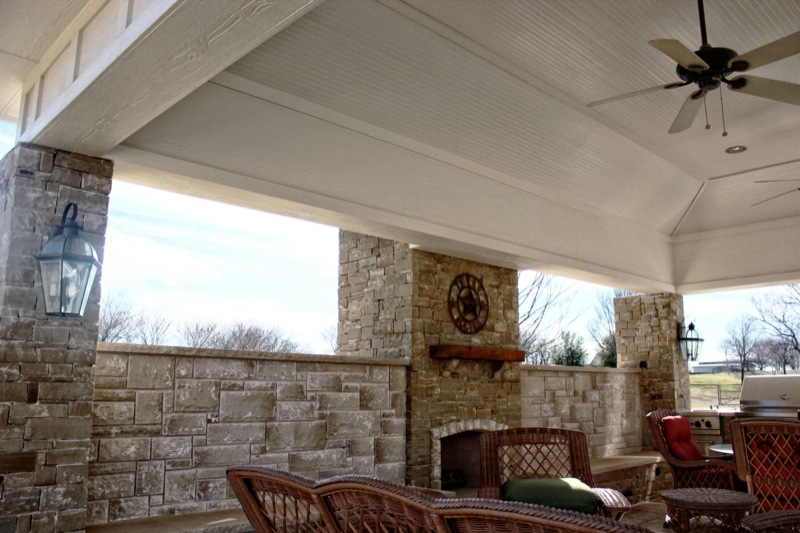 Ceiling fans also keep a constant breeze when it gets a little warm outside. 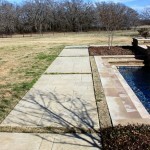 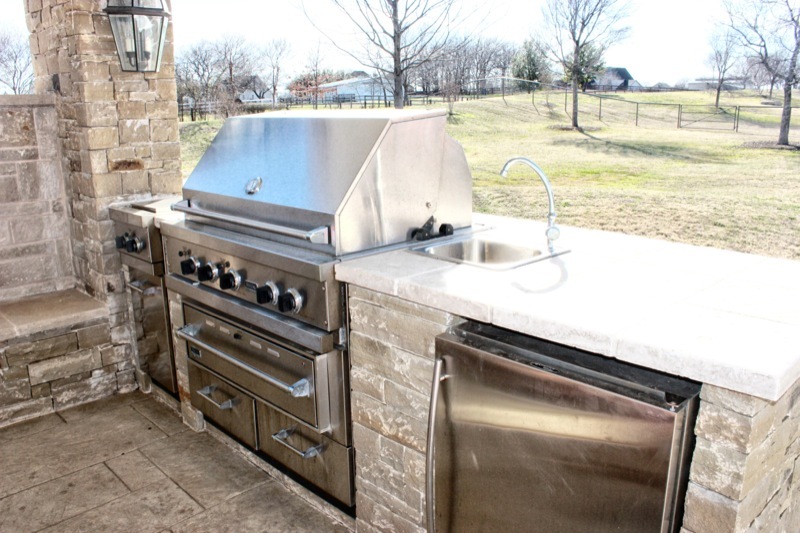 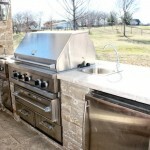 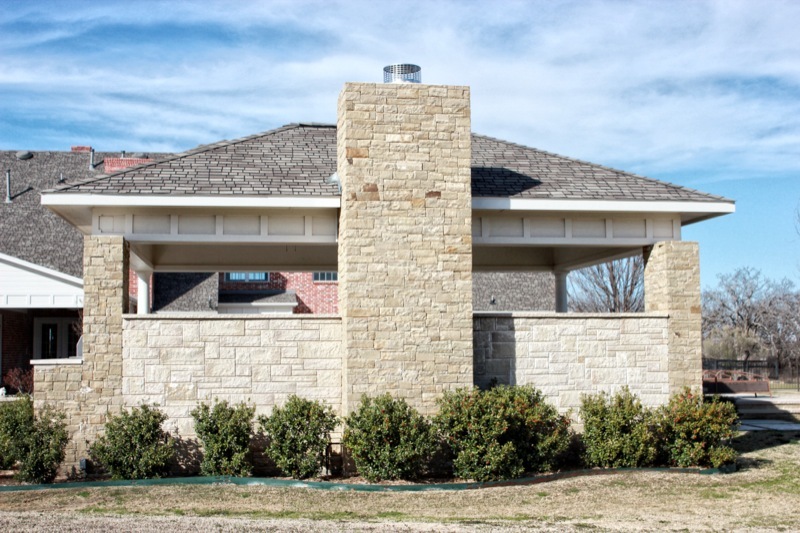 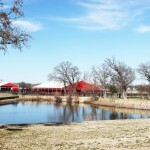 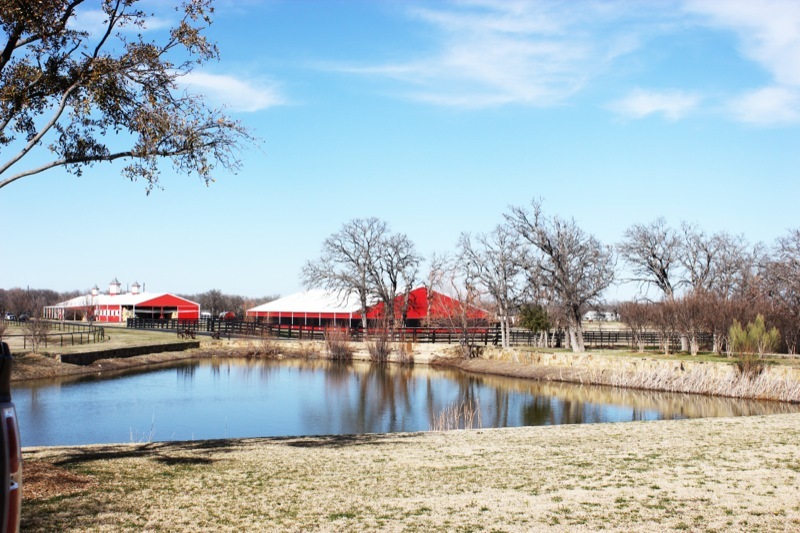 Masonry of the outside structure is dry-stacked, a method used by early settlers of Texas that uses no mortar, but done properly, lasts for hundreds of years. 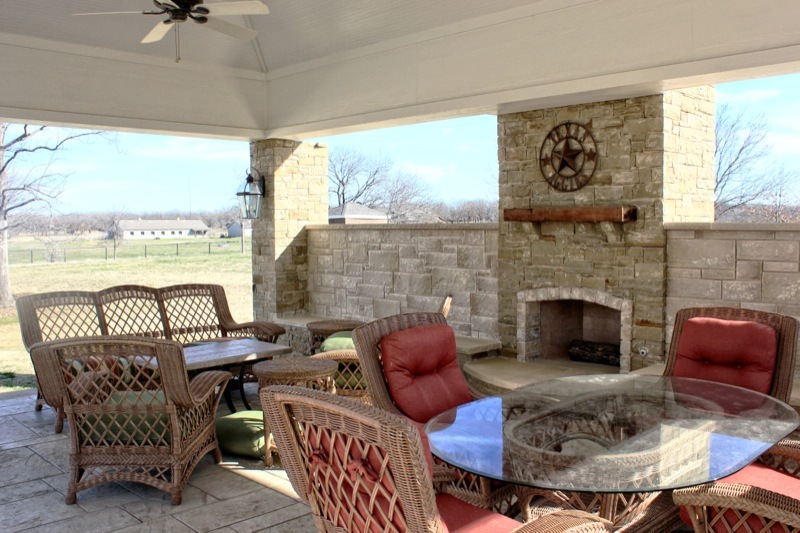 Full functioning fireplace can be used to keep warm on chilly nights or as a decorative feel for Summer parties. 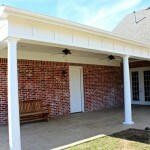 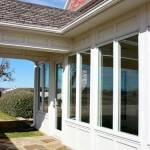 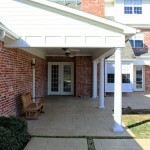 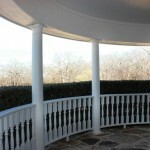 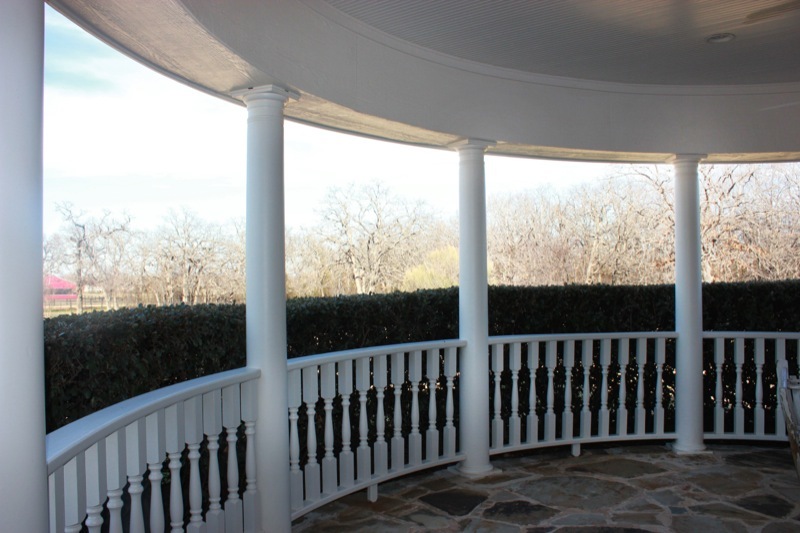 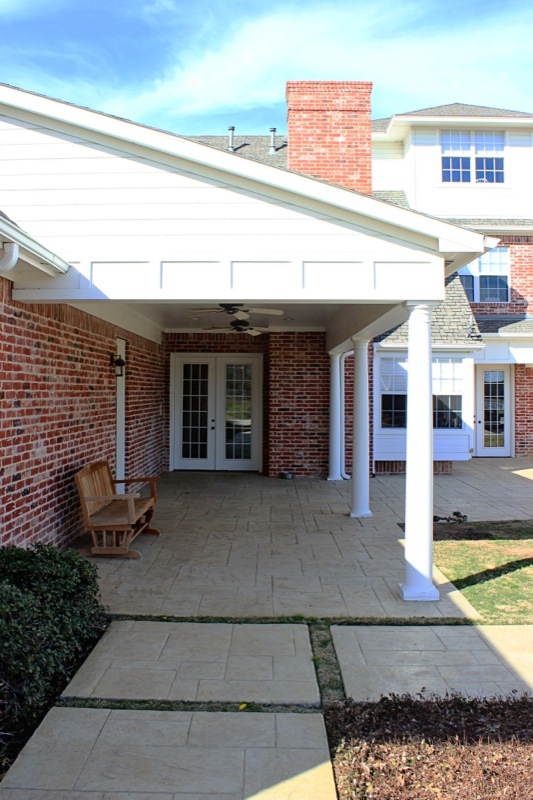 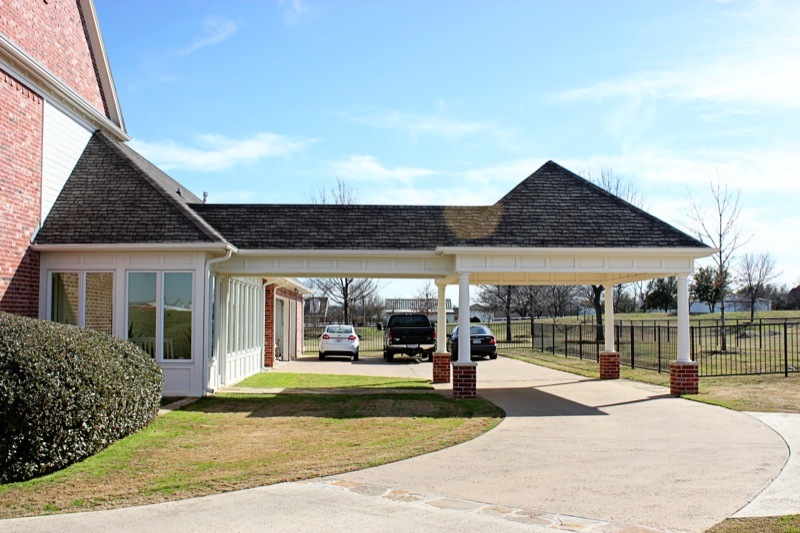 Front porch columns were replaced with fiberglass columns. 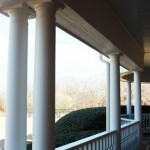 These columns will stand up better to weathering with little to no maintenance.